In this article we will see in detail Exposure Compensation Meaning and How to Use Exposure Compensation In Nikon. Exposure Compensation functionality is the most underrated feature in most of the camera, even with point n shoot. Most people hardly understands this feature or even if they know they don’t use it much. Exposure compensation allows us to increase or decrease the exposure of a picture. Literally, you are telling the camera, “I see what you’re doing here with your ‘balanced and correct’ exposure, but I want my picture to be a little brighter/darker than what you are thinking” as the case may be. 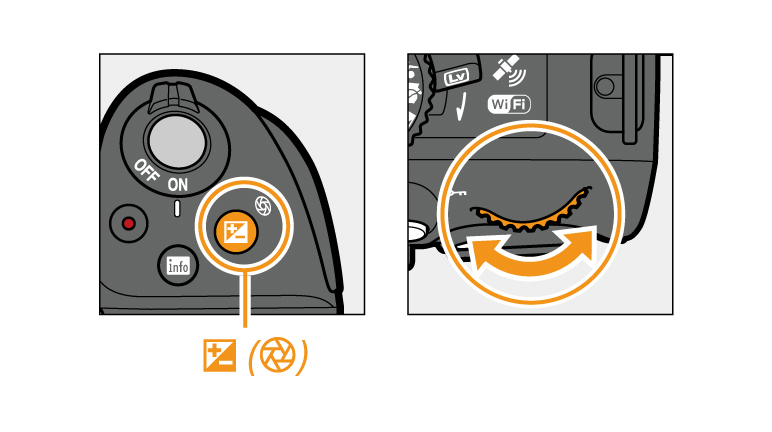 Here in this blog Exposure Compensation in DSLR Explained for Beginners. First we need to understand here is how camera evaluates the lighting based on the lighter and darker spot or part of your scene that we see through viewfinder. There are different ways to evaluate it which depends which metering mode is ON (What is Metering Modes) And if its auto, camera evaluates itself. Exposure Compensation is something through which you are telling your camera that yes I can understand what’s your calculation of exposure but still I want this image to be little darker or brighter. This functionality doesn’t completely overrides the exposure algorithm of camera but its just used in case where you are not happy with the final result and you want one stop brighter or darker image. Do you see what happened with +1EV adjustments to camera here ? By dropping the shutter speed to 1/110s, the camera doubled the amount of light reaching the sensor (because the exposure lasts for twice as long). Likewise, by opening the aperture to f/4.0, the camera doubled the amount of light reaching the sensor (because the aperture was opened a full stop). As you start making adjustments to your exposure through exposure compensation, you will notice a bar going to the left or to the right of the middle “0” value, which indicates that you are dialing negative (-) or positive (+) exposure compensation. You can see bar here -0.7 adjustment in lcd, means image would be 0.7 stop less brighter than what camera calculates. Exposure Compensation is just a quick way to alter the exposure of image if you are not happy with how camera evaluates lighting condition and exposure. This setting can make your picture a little brighter or darker depending on your requirements. Sometime picture gets little more exposed to light than what you would expect, in that we can use this functionality to correct the picture. Most rookie photographers rarely use it but its really good thing to have when you play with different lighting conditions. 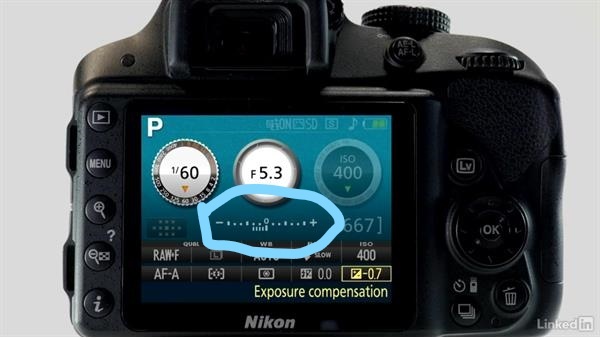 Hope this article helped you in understand What is Exposure Compensation and How to Use Exposure Compensation In Nikon. Do let me know your feedbacks and suggestions.